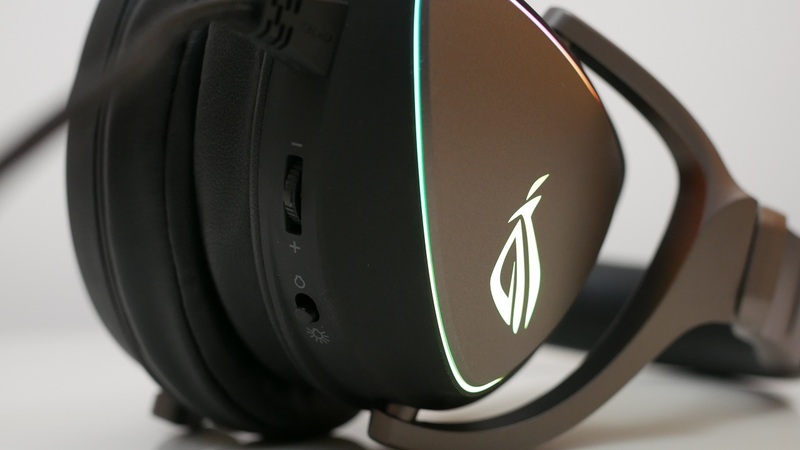 The ASUS ROG Delta headsets seek to be the best gaming headphones on the market thanks to the quad DAC ESS, Hi-Res certification, comfort and much more. Let’s see if they really manage to be such a “revolutionary” and reference product. Starting from the box, giving the feeling of having a premium product among the hands, in addition to the build quality it is also perfectly finished with various ROG style details. Inside the package are headphones, a quick start guide, a USB-C to USB-A adapter cable, a pair of alternate hybrid ear cushions and a removable microphone. 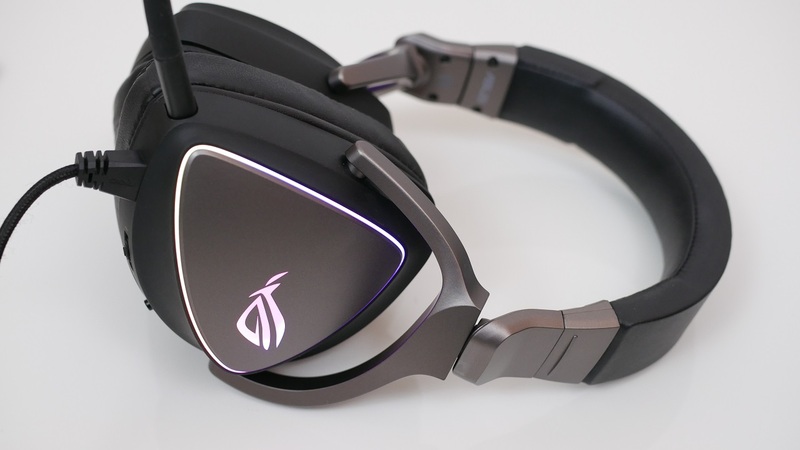 ASUS ROG Delta is born as specially designed headphones for first-person shooters (FPS). Aesthetically they maintain the design of ROG products, aggressive with a fully customizable RGB backlight. 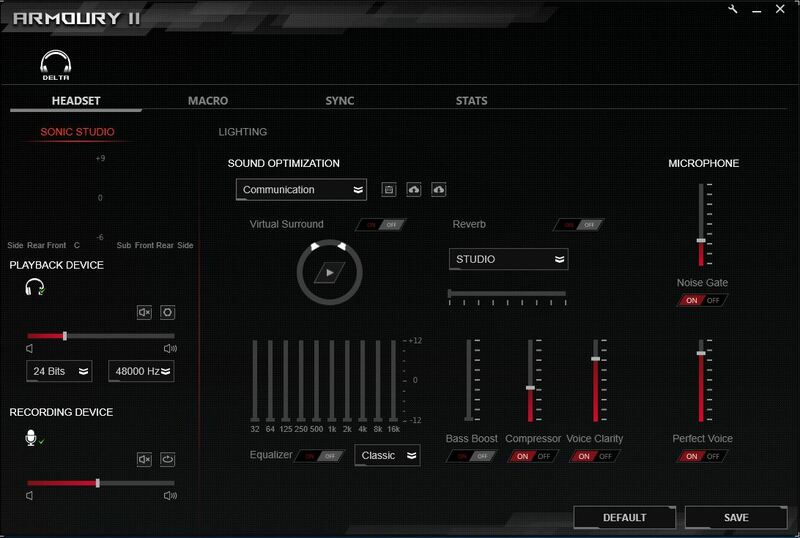 In addition to the ROG logo, there are seven independent lighting zones, which allow uniform and vivid backlighting. 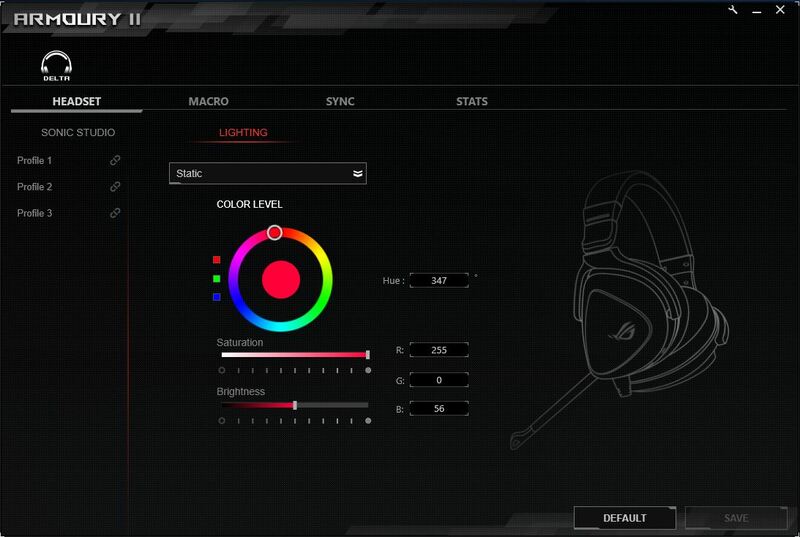 Players can choose from more than 16.8 million color combinations and six preset lighting effects to create a unique style. In addition, the Delta vehicles are equipped with ASUS Aura technology, which allows the lighting effects to be synchronized between compatible Aura products. Delta ROG headphones are designed to offer excellent comfort. They are in fact equipped with ergonomic D-shaped pavilions that adapt more to the shape of the ear than the oval pavilions. Inside each ear piece, the drivers are inclined 12 degrees to perfectly adapt to the natural angle of the ear, further improving the feeling of comfort. Equipped with two types of ear cushions, the ASUS ROG Delta headphones meet the preferences of any player. ROG Hybrid ear cushions combine synthetic leather and mesh fabric for greater thickness and better breathability, offering a perfect fit even for prolonged gaming sessions. The second set of ear cushions is made of synthetic leather, are thinner and softer, help with soundproofing but do not facilitate perspiration. The headphones have a solid metal frame with an adjustable upper headband and 90° rotatable pavilions to ensure maximum comfort and facilitate transport. ROG Delta is the first gaming headset with a USB Type-C (Type-A) connector, this allows you to connect with almost all gaming platforms, including PCs, consoles and mobile devices, allowing you to enjoy its performance anytime, anywhere. A bundled USB adapter is also included in the bundle, making the headphones compatible even with the less advanced available. To have the best audio quality, even mobile, the Delta are characterized by a ESS-ES9218 digital QUAD DAC digital-to-analog converter that provides audio processing without data loss, with each DAC dedicating its processing power to a subset of the range of audible frequencies: low, medium, high, ultra-high. The four signals are then combined to produce a clearer sound with an impressive signal-to-noise ratio (SNR) of 127dB. As a practical result, players can hear game sounds and identify where they come from with pinpoint accuracy, thus having the ability to accurately judge the distance to the enemy, the direction of the passes, the position of the gunshots and more. The ROG Delta headphones are also equipped with the exclusive Hyper-Grounding technology that prevents electromagnetic interference through a multilayer PCB and a special design, for pure and noise-free audio in the background. The headphones include a new generation of exclusive ASUS Essence drivers. The drivers have been updated with Audio Signal Diversion technology, which is a circular wall that helps to separate sounds at high, low and medium frequencies, reducing interference between frequency ranges for more pure and clear sound. The drivers also feature a wide frequency response of 20Hz-40 kHz to provide incredibly strong bass and optimized game sound. These headphones are great for music, games, movies in any field have a really great sound for a gaming headset. Even the comfort is not far behind, although the headset is not so light, the headband and the padded pavilions do a good job. 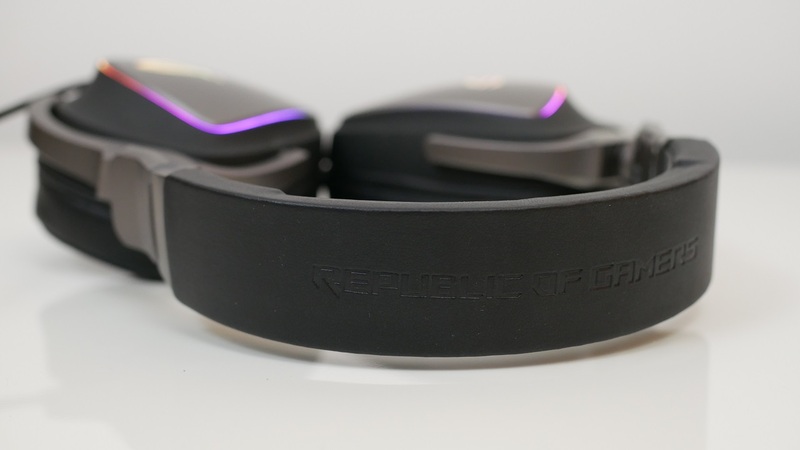 The headset is comfortable even after long gaming sessions and does not press too much on the head and ears, even if we prefer an elasticated band suspension system. The performance of the microphone is excellent, the voice maintains its naturalness, remaining clear without loss of important frequencies. 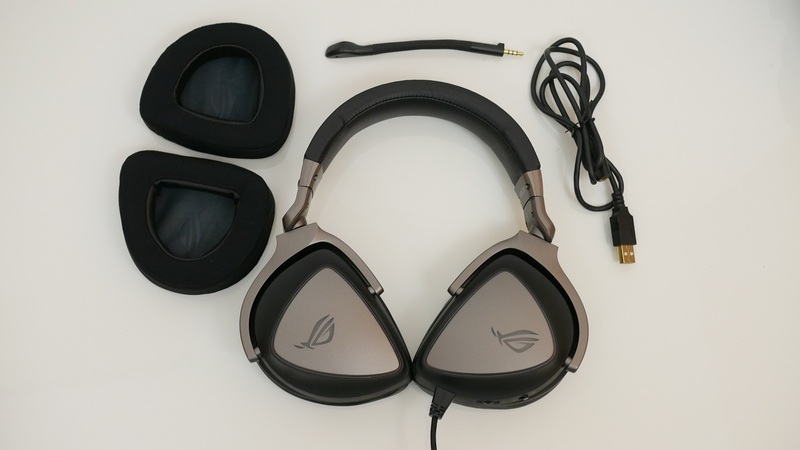 ASUS ROG Delta has really proved to be one of the best gaming headsets on the market. Although the name ROG, the price remains competitive considering the excellent quality and performance of the product. At 200 dollars the ASUS proposal is competitive, thanks above all to the excellent DAC included, which ensures first-class audio in all contexts. ASUS, ASUS ROG, ASUS ROG Delta, ROG. Bookmark.